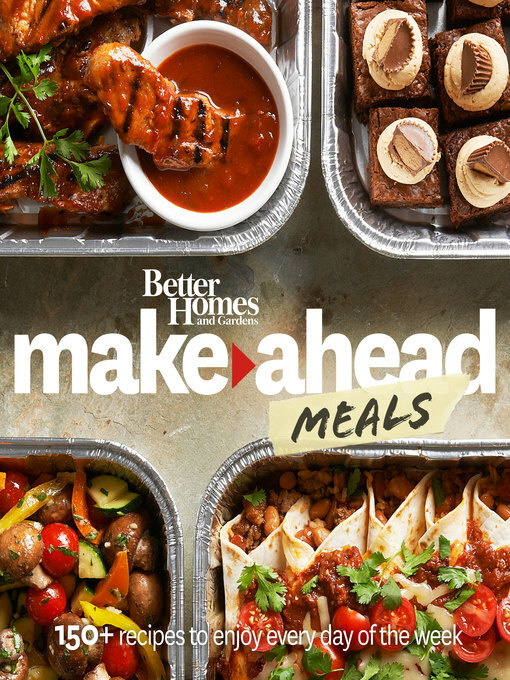 Better Homes and Gardens Make-Ahead Meals is a must-have recipe collection for anyone looking to get homemade dishes on the table with ease. Filled with over 150 recipes and 100 gorgeous photos, plus tips and tricks for quick food prep and complete meals, this book makes planning dinner a breeze. Make-ahead cooking isn't about stocking the freezer with pre-made meals that don't keep well. This book shows cooks how to plan and prep prior to serving, through techniques like freezing carefully to preserve freshness, creating refrigerator casseroles, or using a slow cooker in the morning for dinner that night. Make-ahead cooking also saves money. For time-strapped families, these strategies can be the difference between a home-cooked meal and spending money on packaged meals or ordering in.